Radar was originally developed for military use in the mid-twentieth century. 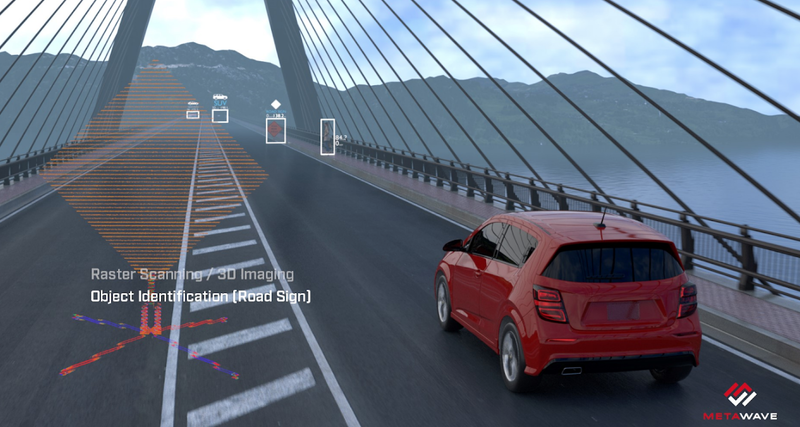 However, recent advancements in imaging radar technology have opened new applications for the automotive industry, where it’s critical for vehicles using for automated vehicles to “see” in difficult weather conditions — something for which radar is particularly well-suited. Along with cameras and LiDAR, imaging radar will play a key role in enabling autonomous vehicles to perceive the world around them. Thus, we’re pleased to announce our investment in a Palo Alto-based startup, Metawave, that’s developing breakthrough, artificially intelligent radar technology. Both analog and digital beamforming are essential to high-definition radar. However, the costs associated with increasing signal-to-noise ratio (SNR) in analog mechanisms have proven too high for widespread use. Metawave bypasses this high-cost approach by using adaptive metamaterials that result in more affordable, high-resolution analog beamforming. Unlike most radar systems, Metawave’s WARLORD (W-band Advanced Radar for Long-Range Object Recognition and Detection) system uses one antenna, which shapes and steers the beam itself. Using artificial intelligence, the antenna then acts as a kind of “eye,” recognizing objects in analog space, and learning over time to make vehicle perception more robust. Beyond cars, the company is also using its technology to develop smart antenna platforms to improve wireless infrastructure applications, such as multi-user 5G networks. Metawave is led by CEO Maha Achour, a serial entrepreneur, who was co-founder and CTO of Rayspan where she commercialized the first metamaterial antennas. Maha has more than 20 years of experience in the RF and wireless industries, having led various DARPA projects in wireless and optical devices. A spin-out of the Palo Alto Research Center (PARC), Metawave has impressed us with their team, experience, technology, and vision. Metawave’s Seed B funding added several new strategic investors, including Denso, who led the round, Asahi Glass, Hyundai Motor Corporation, and, of course, Toyota AI Ventures. Visit Metawave’s website to learn more about their technology — and be sure to check out their job listings.